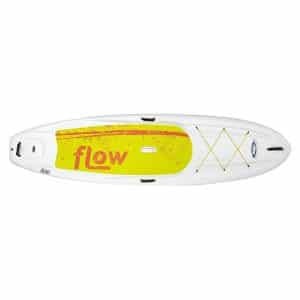 The Pelican FLOW 106 is an easy-to-paddle flat water stand up paddle board (SUP) with superior stability. 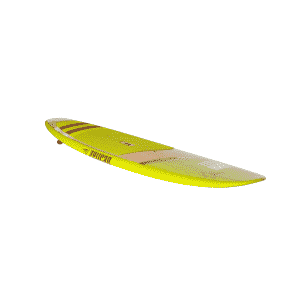 Made of RAM-X™ impact-resistant material, this SUP is built to last for many water memories. 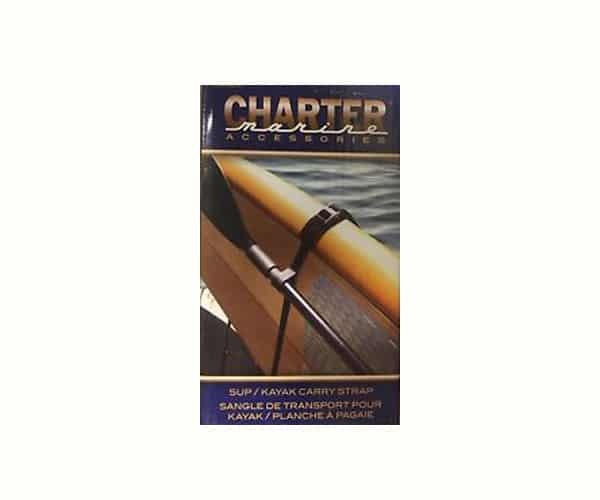 It features an anti-slip cushioned deck pad for secure footing and comfort, integrated rail ramps for additional leverage and better balance, bottom grooves for increased tracking, a 5″ flexible rubber fin, elastic bungee cords to store your personal items and carrying handles for easy transport. So get on your FLOW 106 and have some fun with your family and friends to create memorable stories worth sharing with everyone. See you on the water! This item is in-store pickup only. 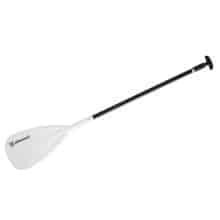 You may purchase the SUP through the website and we will hold it for 48 hours for you to arrange pick up. Made of RAM-X™ impact-resistant material, this 9 ft 4 in. 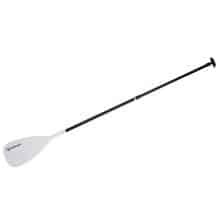 (2.74 m) SUP is built to last for many water memories. It features an anti-slip cushioned deck pad for secure footing and comfort, integrated rail ramps for better leverage and balance, bottom grooves for increased tracking, a 5 in. flexible rubber fin, bungee cords to store your personal items and side carrying handles for easy transport. So get on your FLOW 94 and create memorable stories worth living. SUPs are in store pickup only. 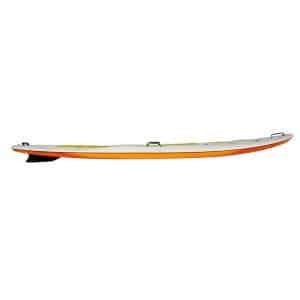 You may purchase the SUP through the website and we will hold it for 48 hours for you to arrange pickup. 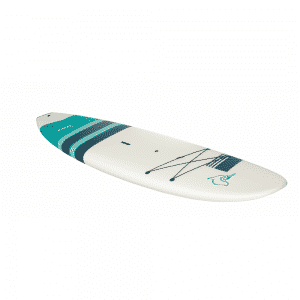 The MOOREA 106 is a striking stand up paddle board (SUP) combining bright lime and earthy browns, with wood accents. This lightweight 10.6 ft (3.05 m) SUP is great for serious paddle boarders and for light surf. 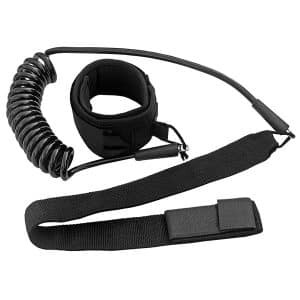 It features an anti-slip cushioned deck pad for secure footing and comfort, a leash ring, an air vent, a removable 10 in. fin and an inset center carrying handle for easy transport. So be bold and hit the water with your MOOREA 106 to create memorable stories worth living. Please call 989-879-1110 or email info@northwoodsoutlet.com for pricing. 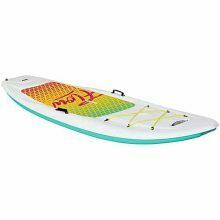 Paddleboards are in-store pickup only. 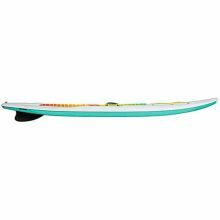 You may purchase this paddleboard over the phone and we will hold it for 48 hours for you to arrange pickup. 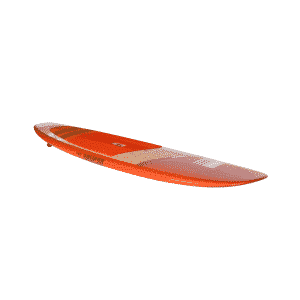 The Pelican MOOREA 116 is a striking stand up paddle board (SUP) combining bright red, orange and earthy browns, with wood themed accents. 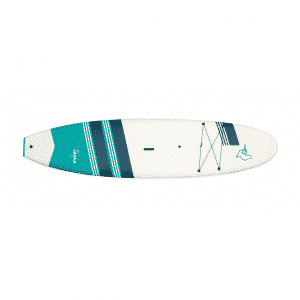 This lightweight 11.5 ft (3.35 m) SUP is great for serious paddle boarders and for light surf. It features an anti-slip cushioned deck pad for secure footing and comfort, a leash ring, an air vent, a removable 10 in. 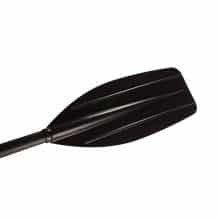 fin and an inset center carrying handle for easy transport. 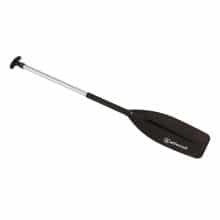 So be bold and hit the water with your Pelican MOOREA 116. 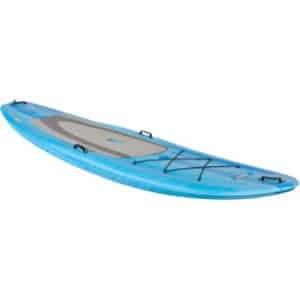 The SANOA 106 soft top stand up paddle board (SUP) is designed for all ages and skill levels and comes equipped with a paddle. 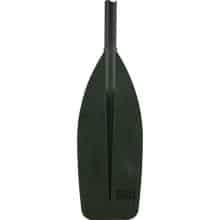 Very durable and lightweight, this SUP offers a soft landing if you loose your balance and is easy to transport wherever your next adventure may be. 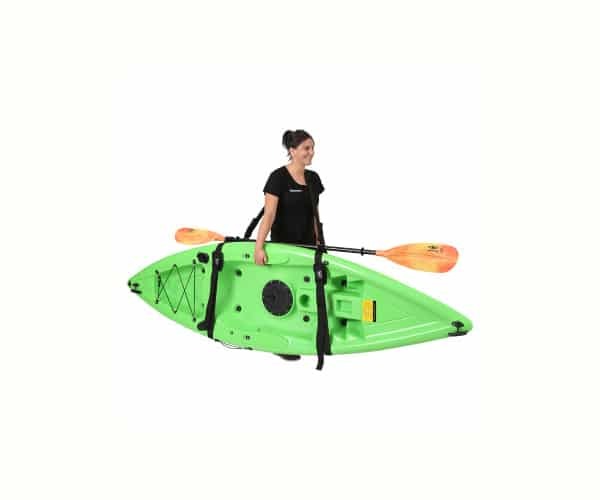 Versatile, this SUP features a bungee cord to secure your personal items, an air vent, a leash ring, a 10 in. 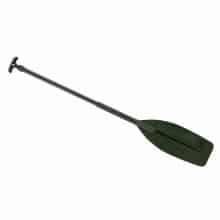 (25.4 cm) removable fin and a carrying handle. So take your SANOA 106 and create fun and memorable paddling stories worth sharing with everyone. The Saona is built around a 1.56 lb/ft3 EPS (25 kg/m3) waterproof foam core, reinforced with two full length stringers for improved stiffness and performance and then wrapped with 6 oz./177 ml fiberglass layer. An irradiation cross-linked polyethylene (IXPE) soft foam coating is added to the deck for comfort and a slick bottom gel coat finish is applied to the bottom of the board to protect it and optimize the glide. 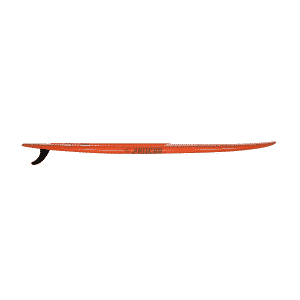 This paddle board Coiled ankle leash prevents the rider and board from separating. Features a Coiled line for low drag and a comfortable and adjustable ankle strap.